The Screening Room is proud to present a new-media installation by Israeli artist Nevet Yitzhak, curated by Tami Katz-Freiman. The Screening Room continues to program exhibitions that pertain to critical social issues prevalent in our global community. 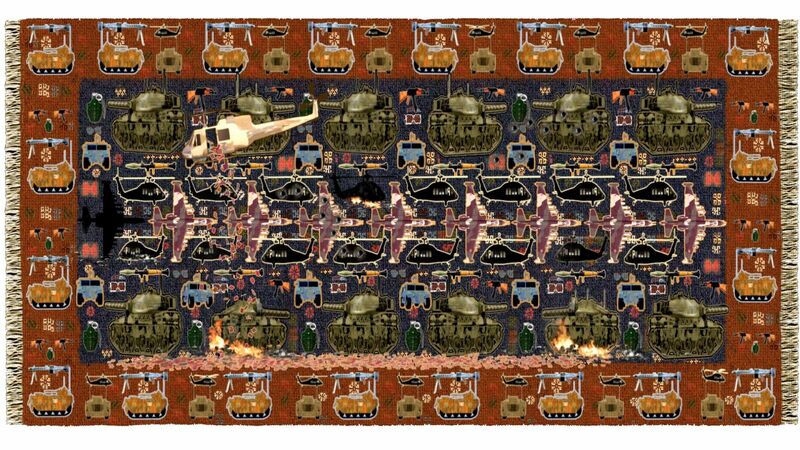 WarCraft is an installation that consists of two single-channel video animations based on Afghan war rugs. This project raises questions about the representation and visibility of violence through artistic means, with an emphasis on the paradox inherent in the juxtaposition of violence and decoration. The discourse concerning this unique and fascinating phenomenon of Afghan war rugs touches upon concepts related to gender stereotypes, conservatism, tradition and progress, East versus West, local and global, survival, protest and commercialization. These ideas are all reincarnated in Yitzhak's work, where they are now woven into a new interpretive framework.